THE AVERAGE LIST price of a property in Drumcondra is now well over €400,000, according to the latest figures from Daft.ie. Analysis for the third quarter of 2017 puts the average asking price in the area at €415,484. The figure puts Drumcondra well above average for Dublin’s Northside. Overall, the mean property price north of the river is roughly €341,000, and Drumcondra is in the top quarter of Northside neighbourhoods. However, prices here are still a good chunk lower than their Celtic Tiger peak of €568,000. In total, the listed cost of property has risen by just over 65% in Drumcondra since hitting its lowest level in 2012/2013. That might seem like a stratospheric increase – but it’s actually slightly lower than the all-Dublin-city average which is currently hovering around 70%. 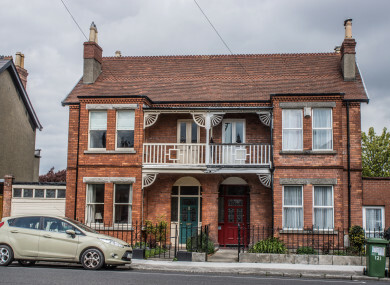 In particular, Drumcondra is being outpaced by its neighbours in Dublin 7 and 3 – where neighbourhoods like East Wall, Phibsboro and Cabra have already seen prices hit twice their lowest level. Your Neighbourhood is a new series of local area guides from TheJournal.ie, presented by KBC. We’re bringing you the best of city neighbourhoods combined with the latest data. If you live in Drumcondra, let us know what you think of it in the comments! Email “Here's the average price of a house in Drumcondra in 2017”. Feedback on “Here's the average price of a house in Drumcondra in 2017”.